A-TEN-HUT!!! 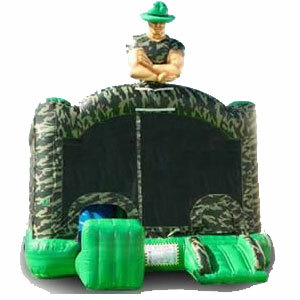 This military themed slide jumper features a bounce area, tunnel, basketball hoop, climbing area and slide. With the Sarge up above, this bouncer commands attention! Minimum space: 21'L x 18'W x 18'H.